Welcome to the June 2018 Exercise Thread! This month, in honor of my real life exercise partners, horses, we'll explore the horses of Disney. We'll discuss this a bit more once our challenge is underway, but horses played an important role in Walt's life, too. We’re officially starting this challenge on June 1st, but if you don’t find this thread until later in the month, you’re still welcome to join!! Just post your goal and I’ll add you to the list. Feel free to PM me if you have any questions, and to check out old threads to see what’s been going on. Team Total - 8981/8950 Goal!!!!!!! I'm in for 1800 this month. I'll be heading to London, England a week from tomorrow, so I'm not sure if I will count the walking I do while I'm travelling or not, but I'll go for 600 this month. I would think all of the walking through airports and in the city would definitely be tracking worthy. We're planning an Oct 2019 visit to London. Cannot wait! Hope you have a great trip! In for 1400 this month. Thanks for hosting, Twilight Sparkle! When we were running through Disneyland for the Star Wars 5k and 10k, the only character picture I took was with one of the draft horses who pull the omnibus. They had them out in front of the castle. Aww! I love this! I bet that's a great photo. I'm in for 600 again. I totally count active minutes while traveling. In fact, that's usually when we're doing even more walking, or something fun like kayaking, so there is an abundance of minutes! Good morning, and thanks for hosting! I'm in for 1,800 minutes this month! I promise to check in more often! Happy June, everyone! We're off to a great start with PollyannaMom already posting numbers, so let's kick off this month talking about a very important horse in Walt's life. And we thought it all started with a mouse! I had hoped to find an image of the Rupert sketch or actual interview footage to post here, but google and youtube failed me this time. The best I could come up with was the trailer for Walt Before Mickey. Rupert and Walt are shown in the first few seconds of the trailer. I have not seen this movie, but it is high on my to do list now. I've been a bit slow off the mark this month. 15 minutes of yard work. Will check in later to do a color change update. I am in again this month. My goal will be 1350. Total for the too days is 165. I ma off to a good start. We have our first color changes today! Twilight Sparkle (me), PollyannaMom, and piglet1979 have all reaching Walking Blue! Our team as a whole is just 260 minutes short of doing the same. In the 1930s, under orders from his doctor to get more exercise, Walt played polo for the Riviera Country Club. He even built practice polo cages at the studio and in his backyard so he could easily practice. 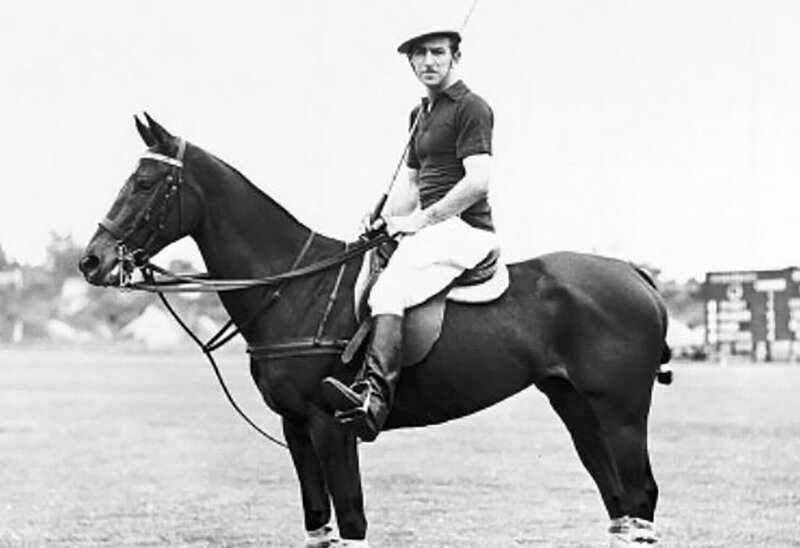 Sadly, Walt had to stop playing polo after suffering a serious injury that resulted in neck and back issues that bothered him for the rest of his life. If anyone knows the name of Walt's polo horse, please feel free to share. I searched for it but cannot find the answer. DH has been walking in the morning for a few weeks now and last night we talked about me joining him for about 30 minutes. I am not a morning person at all but decided i really need to get up and do something before work. I just don't have as much time after work. So this morning I got up at 5:30 and took a 30 minute walk. DH and I usually talk a lot on our walks but not so much in the morning. We will still get a walk in the afternoon as well. I am really trying to get 13,000 steps a day. Yesterday I got 95 minutes. PollyannaMom, Twilight Sparkle, lovesmurfs and 1 other person like this.